Open 6-11pm (LO). Closed Mondays. Seafood-heavy paellas, Spanish omelettes and other typical Spanish fare in extremely unpretentious surroundings; full-course dinners from around Y4000. 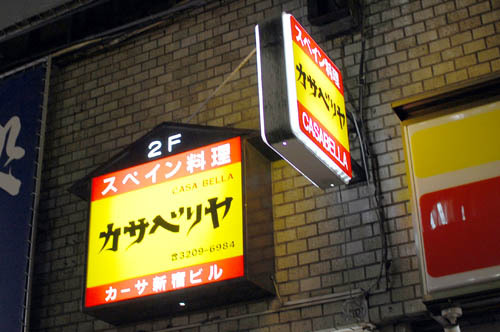 Shinjuku-ku, Kabukicho 2-42-11, Casa Shinjuku Bldg.